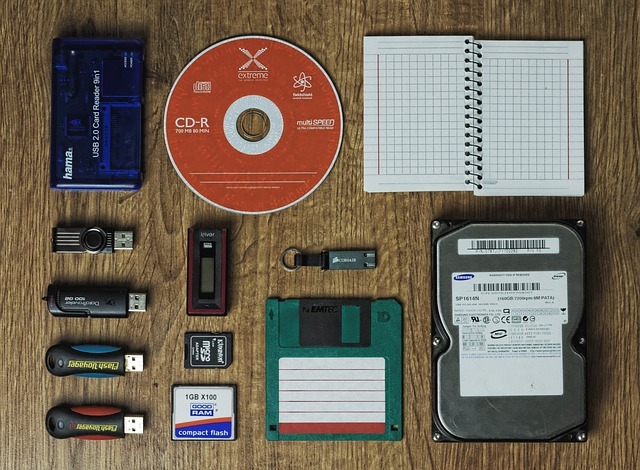 Many genealogists make regular backups to their data, however, not all do. Ancestral Quest reminds you to back up your files whenever you are closing out your program. 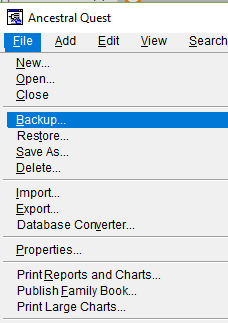 There are additional prompts for backups with other features in the program to guard you in case there is a problem. 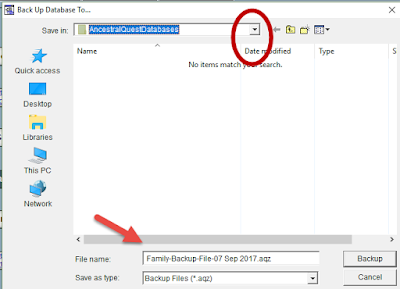 For instance, if you are adding a GEDCOM file to an existing file, it prompts you to make a backup before the import. The reason is if you decide it wasn't a good idea and have way to many duplicates, you can go back to backup. Backups prevent years of hard work disappear which is disastrous. When the program closes, simply follow the prompts to create the backup to an external device for safety. There is one additional reason for a backup; sharing it with other family members. This actually is one of the best ways to insure a copy is somewhere else. To make a backup one simply clicks "File" then select "Backup" and follow the prompts. If you need to change the drive to an external one it is at that point you would change it. At this point the next menu that comes up allows you to save it where you want and also give the backup file a name or use the one the program supplies. 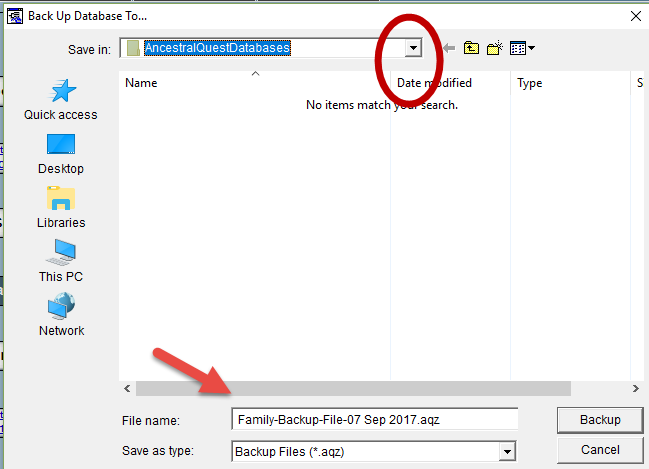 Here you can use the area circled to have the backup saved to an external drive or in the cloud and the bottom area is where you enter the name of the file or accept the one AQ put there. Once you've done this you'll click on "Backup" and once done it is all set and there in case it is needed. Having backups and sharing your data with other family members provides you with peace of mind in case of the worse happens to you or your computer. Enjoy this and all of the features of Ancestral Quest 15.